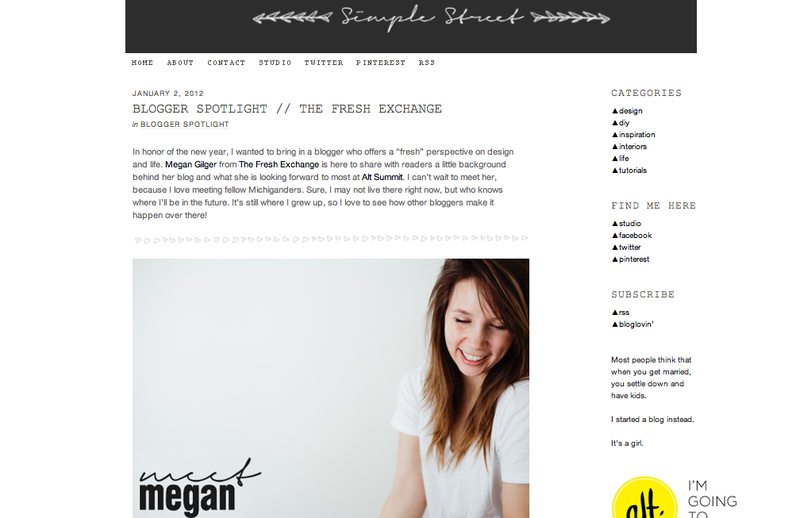 I am so excited to be featured today over at Simple Street Blog for Alt Design Summit. I love what Amanda talks about every day over at Simple Street and cannot wait to meet her at Alt in just a couple weeks!! Cannot believe it is so close I guess I better find my Winter White outfit. Anyone going to Alt? Did you find your white duds yet? I am struggling may just end up in a white vneck and killer heels haha.